Host Families Needed for Incoming Students! New students are signing on for the 2019-20 school year now and in a few months time, they will be coming overseas to a completely new culture, life, and learning environment. From their first steps off the plane to their graduation walk, our students rely heavily on all those who help support them here, so far away from home. While our Weiming staff is trained and equipped to aid our students with the first steps of transition and throughout the year with many everyday challenges, students seeking host family accommodations will need warm and inviting homes with patient, dedicated and engaging care givers to foster their exploration and appreciation for the English language and American culture. Opening your home to an international student can be a very exciting and rewarding experience for the whole family, where lifelong bonds can be made on a cross-cultural level. 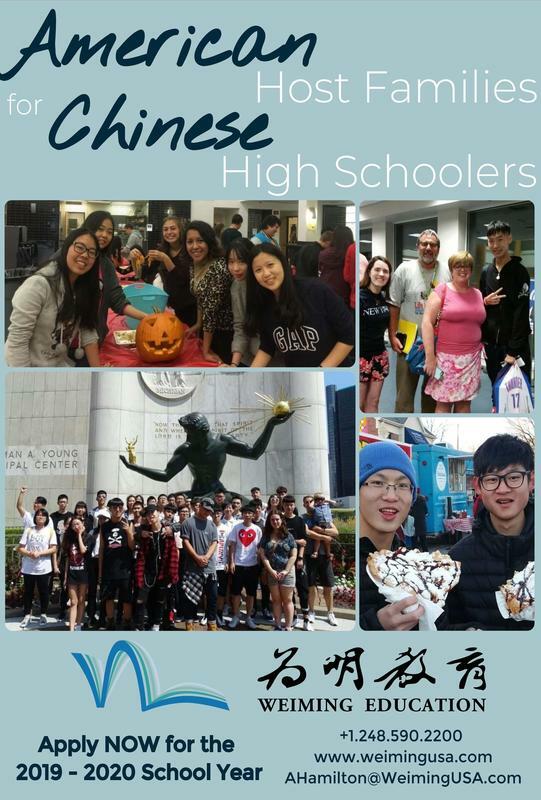 If you and your family are interested in welcoming a Weiming student into your home, we encourage you to apply!